A moderate earthquake with a preliminary magnitude of 5.5 has struck Assam in northeast India, causing shaking to be felt across the region, including parts of Bangladesh, Nepal, Bhutan, and China. 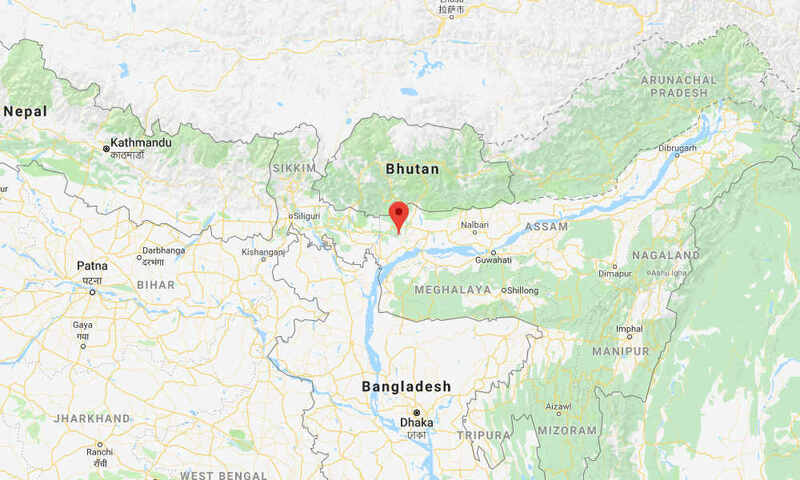 The earthquake, which struck at 10:20 a.m. local time on Wednesday, was centered near Sapatgram, a town that is close to the city of Bongaigaon. It struck at a depth of just 10 kilometers. India’s Meteorological Department put the preliminary magnitude at 5.5, while the U.S. Geological Survey (USGS) put the magnitude slightly lower, at 5.3. Wednesday’s earthquake was felt across the region, but there were no immediate reports of serious damage or casualties. Tremors were felt in parts of India, Bangladesh, Nepal, Bhutan, and China. A number of people said they felt “strong” shaking during the earthquake, but none of them reported seeing serious damage. “I ran out of the apartment,” a resident in Guwahati told EMSC. Computer models from the USGS estimate that up to 216 million people could have felt Wednesday’s earthquake, including 244,000 people who may have felt “strong” shaking.